All natural soft, fine Luffa Powder makes for a great exfoliant. Our luffa is ground to a soft powder so the size and shape of product is unlikely to damage sensitive skin. Add to bars of soap for a sand-like look and a natural exfoliant! Also works great in scrubs. To provide mild exfoliation properties and color variation in products. 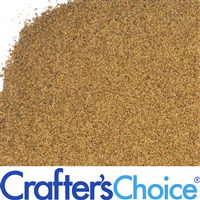 All natural soft, small grain exfoliant. Size and shape of product is unlikely to damage sensitive skin. Physical Form: Very small tan fiber. Add to base, amount as desired. Smaller amounts will provide color variations in products. Larger amounts will provide a full scrub. When using in soap & liquid washes, we recommend the suspension bases which prevent additives from sinking or floating. "Love this for my Mechanic Soap!" COMMENTS: This is just enough "scruff" to help clean hands without tearing them up! Awesome product and blended right into my CP at trace. COMMENTS: I've only used this product in melt and pour soap, I'm curious to see how it behaves in hot process soap making. It's got a very soft texture, much like finely shredded coconut. COMMENTS: Lovely Scrub has all positive feed back. • Actually scrubs dead skin off. COMMENTS: This was my first time using the luffa powder and it was quite easy to use. It came as part of a kit and I will definitely be much more likely to use it in the future now that I am familiar with it. COMMENTS: I like to use this towards the bottom of CP soaps, so it becomes a topper, and in the middle of MP, for a cool effect through transparent soap. COMMENTS: Gone are the days of rough bumpy skin! Add some of this to your soap, and you'll feel the gentle exfoliating power of Luffa. COMMENTS: This is more like Powdered loofah. I was hoping for more upf....gives variety in exfoliation. I will purchase again. COMMENTS: I use this as a pencil line in cold process. No customer has commented if they even notice the exfoliation. I may stick with something more simple, like oatmeal. The powder itself is easy to work with. COMMENTS: Works great in melt and pour. Will buy more. COMMENTS: I have used this in a Patchouli CP soap, adding 2 tsp at light trace. I used a small amount of my base oils to prewet the powder. 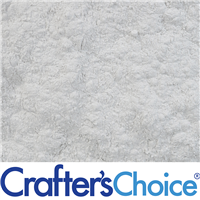 It is fairly finely ground when dry, swelling slightly in the final product, making it more visible as little tiny bits & pieces. It shows up more than Oatmeal powder does. I think this will be more versatile than just the whole Luffa slices. • Versatile exfoliate. Nice and clean.
" 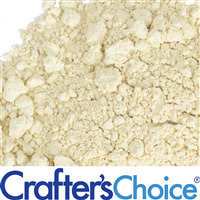 Luffa Powder - Natural"
COMMENTS: Used this in my kitchen hand soaps. I like that it is a mild abrasive and not too scratchy. Works well in MP soap, I think I will use a suspension base next time so it doesn't all migrate to the bottom of bar. 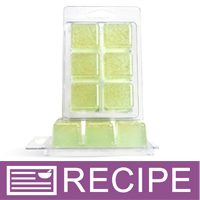 COMMENTS: I love putting this loofah in half of my melt and pour soaps I make. Customers love it. COMMENTS: Added to MP soap for a nice light scrub. COMMENTS: Provides a great exfoliation that is much gentler than the luffa slices. It incorporates nicely into Melt & Pour, without floating or sinking. COMMENTS: I expected hard stiff luffa. It is a soft powder. COMMENTS: Used this in a recipe for a gardener's soap and customers loved it. COMMENTS: Love this as a gentle exfoliant in CP soap! 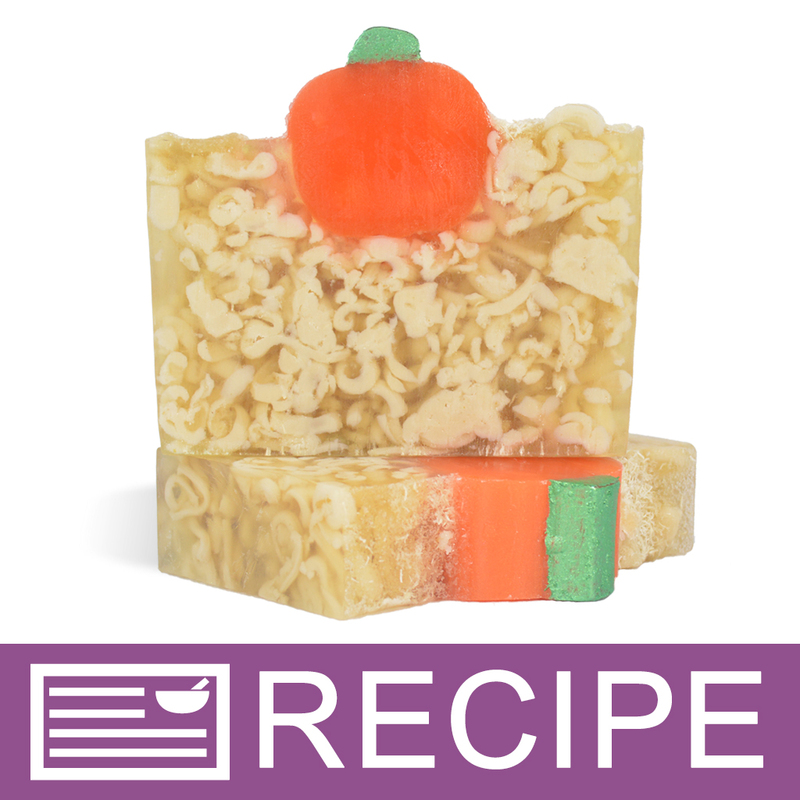 COMMENTS: Just love it as an exfoliater in my cold process soap recipes. COMMENTS: I wanted to like this one more, not that there's anything wrong with it, but it's a little light and "fluffy" and seemed to get lost in my soaps (unless you let it all settle at the bottom). The quality is good, and maybe it's just me using the wrong base with it, but my first attempt wasn't anything spectacular but I will be trying again soon! COMMENTS: These are very light weight and fine and make a great mild exfoliant! Perfect for soap. COMMENTS: I used this in the coconut luffa M&P soap and it turned out well. I like the appearance of the soap and it adds a gentle exfoliant quality to the soap. I have several customers who have been requesting something like this so they are happy. "Males a great exfoliating bar"
COMMENTS: Makes a great exfoliating soap bar. Don't mix too much or the bar becomes too flimsy. Makes your skin very soft. "Need a lot for soap"
COMMENTS: Need a lot of this powder to make an exfoliant in soap. It's difficult to see in my colored soap, so I just have the label to show it's there. I think I'll probably stick with the whole luffa in the future, but I heard so many people rave about the powder, I had to give it a try. COMMENTS: Great product! I actually used it in one of the recipes provided in your magazine. Great for exfoliating! COMMENTS: Luffa powder is an excellent medium exfoliat, not too harsh, not too soft. 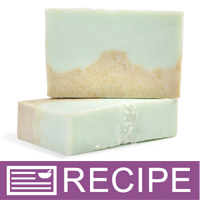 I use it in DF Coconut Milk soap with tropical scents for a great island experience! COMMENTS: Overall I am not completely satisfied with this product simply because you cannot tell it is in the batch. I chose this instead of shredded loofah and it looked good until I added the fragrance oils and then (as far as I can tell) the loofah dissolved. I will be playing around with the consistency for a few more batches but because the product arrived sealed and good in the bag I give it five stars. I think the product is good. The only thing I might change is there seemed to be two consistencies- medium and straight powder. I think the medium retained its consistency well, if I had to ask for any changes it would be to offer a slightly courser grain. COMMENTS: I used this in a melt and pour soap. I added it to the bottom layer of a two-toned soap, and it gave the soap a sandy appearance that everyone loved. I used Carribean Coconut fragrance oil, so the two went together very well. The luffa powder gives a very mild exfoliating feature to the soap. It's not nearly as abrasive and many other additives. "Can't wait to use it!" COMMENTS: I am going to use this luffa powder in some m&p soap. 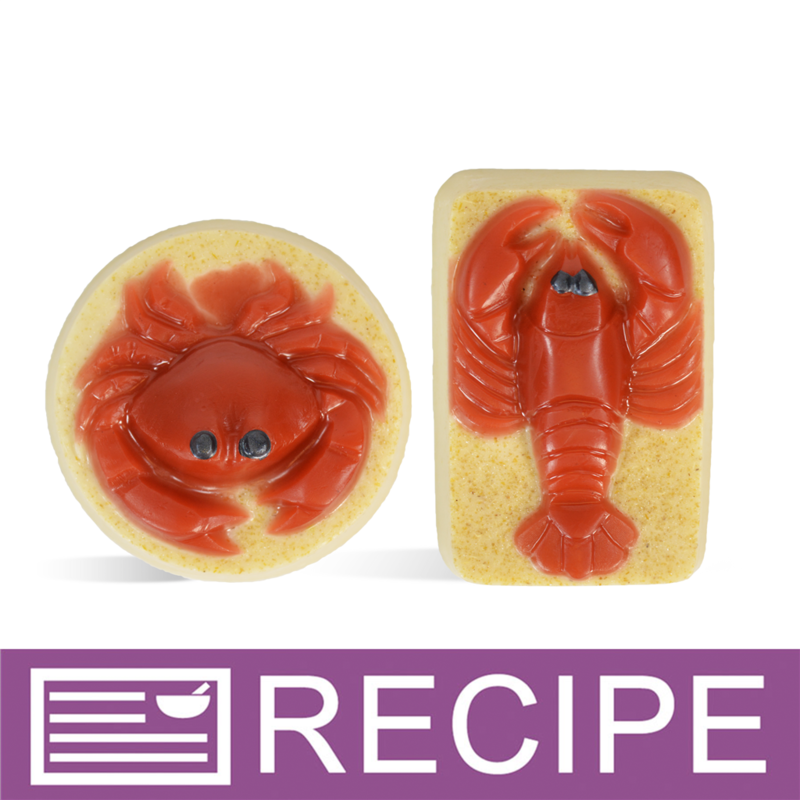 I am going to make the beach soap that is shown in your Handmade eMagazine. Thanks for offering this without having to buy the kit. COMMENTS: To make my gardeners soap I was using the WSP full size loofah sponges and putting them in my vitamix blender to grind down into a powder. It is so much easier to just purchase loofah powder pre-shredded! The shred is much finer than I was able to achieve when blending it myself and this is much faster. My gardeners soap will thank me for this! "If you don't mind the dust..."
COMMENTS: This loofah additive is nice, but there seems to be a lot of dust in the package more than the loofah bits. I would really would have liked to have more loofah bits. The dust in the work room isn't good either. The fine particles land where you least expect them to, with zoning officers coming to check on my work area, I don't like finding soap with the dust particles. Even using a scoop to get the loofah out of the zipper pouch, was difficult to keep the dust at bay. I don't want to have to pre-wet the loofah in order to use it in a liquid gel, that would require an anti-mold and more preservatives to be added. Maybe a different container would be better? COMMENTS: Works great in my soaps! COMMENTS: I really like the way this feels in cold process soap. It's scrubbie without being sharp. Feels fantastic on your feet. It looks good in cold process or melt and pour in the basket weave clam shells. COMMENTS: If you want to add a little extra something to your soap, I suggest this! I normally add quite a bit as I want people to enjoy a good scrub, but it's finely milled so you can add to your liking and still get the scrub you're looking for. COMMENTS: I used this product in my soaps and a little goes a long way. I've tested the soap and It feels great on your skin! "Does loofah break down in water? What happens when it goes down the drain?" Staff Answer It is super fine and goes down the sewer system with regular waste water. Loofah is a natural and will eventually break down. We are not sure on the timeline for that. "Is this the same thing as "shredded luffa (loofah)???" Staff Answer This is a powdered product, not shreds. "What is the volume of the (1/2 oz) size?" Staff Answer Approx. 3.5- 4 Tbsp. "I've never heard of luffa powder until now. I see that several people stated that they use it for exfoliating soaps; but though I love the idea of luffa powder as a natural ingredient, I'm not big into soap making. Do you have any other suggestions for use?" 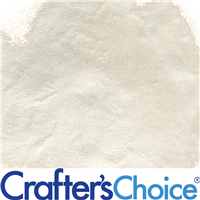 Staff Answer Luffa Powder is great for mild exfoliation. Since it is exfoliating it would work well in scrubs as well as soaps. "What is the usage amount/range (PPO) for CP Soap? " "Will this hurt my skin? Luffa is normally very abrasive." Staff Answer Luffa powder is a very, very soft exfoliant. While a luffa sponge is generally abrasive, the powder is ground very finely and I don't find it to be abrasive at all (and I have sensitive skin). A good comparison - a luffa sponge is coarse, like a shredded wheat cereal - but if you ground that wheat down, it would be soft like flour. Hope that helps! Luffa powder is nothing like a dry loofah sponge. It is a very mild and gentle exfoliant that makes for a wonderful additive in many different recipes.